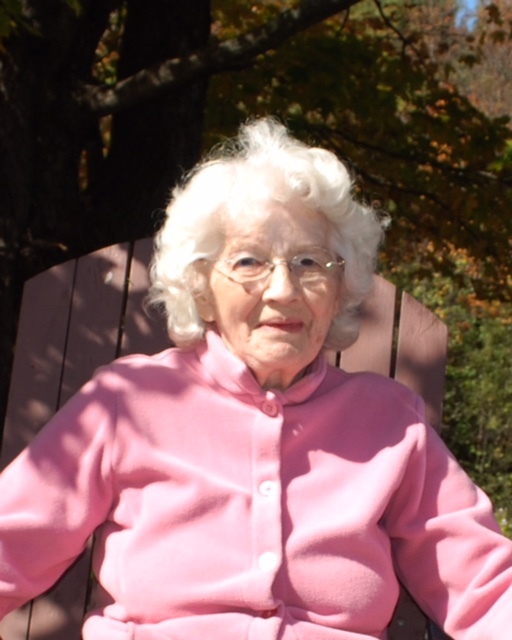 Eunice B. McLam, of Village Road passed away Monday, April 16, 2018 at the Elliott Hospital in Manchester, NH following a period of declining health. She was 88. Born on July 27, 1930 in Topsham, VT, she was the daughter of Leander and Anna (Smith) Dexter. Eunice attended Topsham schools and was a graduate of Bradford Academy in 1948. She also attended Cosmetology school in Concord NH. On September 14, 1951, she married Alfred McLam. They made their home in East Corinth and together they owned and operated McLam’s General Store for many years. In later years, she was employed by National Life Insurance in Montpelier, VT as an accounts payable clerk. She was an avid gardener, baker and loved to sew and crochet making quilts and afgans for her children and grandchildren. Over the years, other past times included snow shoeing, cross-county skiing and long walks in the woods during the spring and summer months. Besides her parents, she is pre-deceased by her husband Alfred McLam (March 7, 2018), a son Michael McLam (March 29, 2013), a granddaughter Stacey McLam (June 6, 2016); six brothers Harold Dexter, Martin Dexter, King Dexter, Lewis Dexter, Leo Dexter, Everett Dexter and four sisters Bernice Welch, Blanche King, Creola James, Freda McLam. She leaves a sister Evelyn Moulton of Westfield MA; a son Norman McLam and wife Tossie of Berlin, VT; two daughters Marie McLam and husband David Vahue of Slingerlands, NY and Louise McLam of Manchester, NH and daughter in law Roxann McLam of Williamstown VT; grandchildren Jason Wheeler, Elisha McLam, Laura McLam, Janice McLam, Derek Hoyt, Leah Hoyt, Taylor Hoyt, and Julia Hoyt; a great granddaughter Josephine Salvio; as well as several nieces and nephews. Funeral services will be held at 11am Saturday, May 12, at East Corinth Congregational Church in East Corinth. Rev Kelly Donahue and Rev Candace Ricker will officiate. There are no calling hours. Burial will follow at East Corinth Cemetery.